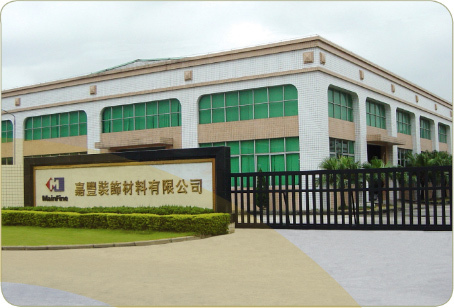 Mainfine International Ltd was found in 1992 which mainly dedicated to production,development and sales of the window covering products, we have very rich experience in this industry more than 20 years. Guangzhou Carford Decoration Material Co.,Ltd was set up in 1999 in Guangzhou & also manufacture all kinds of window blinds.Due to international business development & expansion,the second factory -- AnHui Carford Window Curtains Co.,Ltd has been established accordingly. And the third factory Cangzhou MainFine Home Fashion Co.,Ltd was set up on 2014, further expanded the capacity and make good guarantee for the delivery time. AnHui Carford Window Curtains Co.,Ltd is built up in 2012 , which specialize in various kinds of window products,such as pvc mini blind,PVC vertical blind,Faux wood blind,Aluminum mini blind, Bamboo blinds,Roman shade,cordless products, Curtains & Zebra shade etc .The production base is located in Hexian Economic Technology & Development District, Maanshan City,Anhui province. We also have advantage in factory site. The transportation system is quite convenient. From NanJing airport to our factory,it is about 75 km, it is also only 40 minutes by car from NanJing South High-Speed Railway station to our factory. The total area of Anhui Carford Window Curtain Co.,Ltd is about 130,000 square meters.We have finished the first phase of project which factory built-up area is about 27,095m2, 5 workshops building,1 office building,1 dormitory building & other relative supporting facilities. The new factory started trial production in July,2012. In order to increase our production capacity, We are recruiting more & more people to join us. Our target container capacities is about 100*40 containers /month in the future. Our current customers are mainly Interline-Brands,Big Lots ,Fred's, lows,Do-It -Best,Achim,Gardinia,Hornbach etc for American & European markets.The products with high quality,competitive price & excellent after-sales service is our factory purpose. Cangzhou MainFine Home Fashion Co.,Ltd will go into operation in end of 2014, the capacity is the same as Anhui Carford, it is only half an hour to Tianjin city, the export port is Tianjin port, it is very convenience for the transport. Welcome to join us, we will be the good partnership , and achieve win-win together.